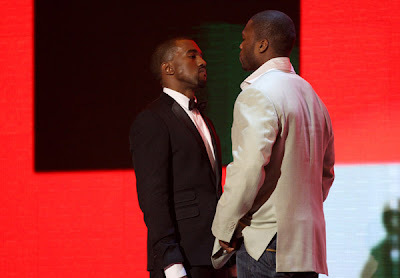 JUICY-NEWS: Kanye West Is The Winner? Rapper Kanye West is leading the battle of the charts against 50 cent - his album Graduation is outselling his rival's by two to one. 50 Cent may be forced to swallow his pride - West is winning the war, with Graduation predicted to sell 750,000 copies in its first week - 200,000 units more than 50's projected sales figure, according to AllHipHop.com.